As Paramount prepares to relaunch their famous Friday The 13th franchise, there are some key decisions that have to be made. Found footage is no longer a concern, the writers want to cover why Jason Voorhees can get back up after he's been dealt a killing blow, and in a new twist of the tale, his origin will be changing to a certain degree. It’s an origin that no one has seen before. Obviously Pamela’s there, but it’s a little bit different from what you’ve seen before. The exact term that Brad Fuller used to describe Friday The 13th's latest refresh is an "origin-ish" film. So while we'll be seeing Jason, and mother Pamela, beginning yet again on their legacy of slaying anyone who dares set foot in Camp Crystal Lake, the exact circumstances of how Jason became Jason sound like they're going to get an overhaul. Which has us wondering: just how will the new film change the origins in such a way that no one has ever seen? As fans of Friday The 13th will remember, Jason didn't come into the picture until Friday The 13th: Part II, as the first film in the series saw Pamela taking the role of the killer. Presumed dead since a drowning accident as a kid, Jason returned after Pamela's death to seek vengeance, which was then followed up by sequel after sequel of sheer, aimless carnage. But if the new Friday The 13th is setting us up for an origin that's never been glimpsed before, how in the world are Jason and Pamela going to be in the same film together? Well, an obvious work around would be that Friday The 13th will see Jason as the main villain, possibly plagued with the vision of Pamela in his mind. Throw in some sort of explanation that attributes his supernatural ability to be resurrected as a sort of familial curse / result of Pamela's dabbling in witchcraft, and you've got a Voorhees origin story that has never been seen before. Obviously, the ambiguity of Brad Fuller's remarks are something that you could play around with until the next batch of victims arrive for camp, so we have absolutely no clue what this new origin story will try to do with the Jason mythos. What we do know though, is that Fuller and writer Aaron Guzikowski both seem keen to bring back the legendary bogeyman, while at the same time giving audiences a new reason why Jason Voorhees is still one of the most fearsome figures in cinematic history. 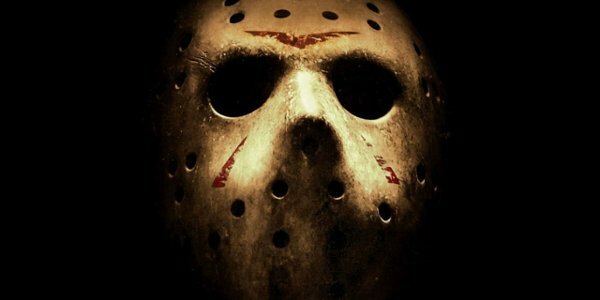 Friday The 13th is set to open on January 13th, 2017.